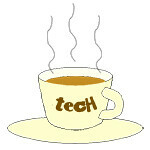 data centers « Tech bytes for tea? Infosys and Hitachi Data Systems (HDS) is expanding their partnership to deliver next-generation infrastructure and data center transformation solutions to enterprises. Infosys will also establish a center of excellence to co-create ‘pay-per-use’ solutions with HDS. The new solutions will help improve operational efficiencies and facilitate smooth transition of their IT infrastructure to new cloud-based environments. “Hitachi Data Systems and Infosys have a long history of collaboration. We are pleased to take our relationship to the next level by delivering the latest Hitachi Data Systems ‘Continuous Cloud Infrastructure’ solutions to help our mutual customers, around the world, deploy the most available, automated and agile environment for next-generation data centers and cloud solutions,” said Brian Householder, Chief Operating Officer, Hitachi Data Systems. Enterprises can then convert a significant share of their capital expenditure, related to infrastructure and data center management, into operational expenditure. The new data center transformation solutions, developed by Infosys and HDS, are tailored to meet refresh cycles of enterprise data centers. The two partners will also create reference architectures and solution frameworks to accelerate private cloud deployments. Infosys Cloud Ecosystem Hub is a first-of-its-kind solution that helps enterprises build and manage a unified hybrid cloud environment. CommScope announced today that it has successfully demonstrated the feasibility of Category 8 cabling for enterprise networks. The proof of concept brings CommScope customers closer to achieving 40GBASE-T system for data center applications. Extracted from report for the “Category 8 Structured Cabling Channel Demonstration by CommScope”. CommScope is a global leader in infrastructure solutions for communications networks. and data centers. “We believe this demonstrated solution shows the real market potential for customers to eventually take advantage of 40G transmission rates over copper twisted-pair based media with cable and connector types they are familiar with today,” said Richard Mei, director of transmission solutions, CommScope. As a leading provider of next generation data center infrastructure, CommScope verified a proof-of-concept solution for a viable 40 Gigabit per second (Gbps) Ethernet channel by utilizing prototype Category 8 RJ-45 connectors and copper twisted pair cables. All components of the groundbreaking concept were designed by engineers in CommScope labs. This demonstration took place at the recent International Electrical and Electronics Engineers (IEEE) 802.3 NGBASE-T study group meeting in Phoenix, Ariz.
A technical contribution to the study group titled, “Category 8 Structured Cabling Channel Demonstration by CommScope,” described the feasibility of the concept.